← Happy, Healthy Sourdough Starter! This entry was posted in 100% Whole Wheat, Sourdough, using excess starter. Bookmark the permalink. more please. half of one of these was a woefully inadequate serving. 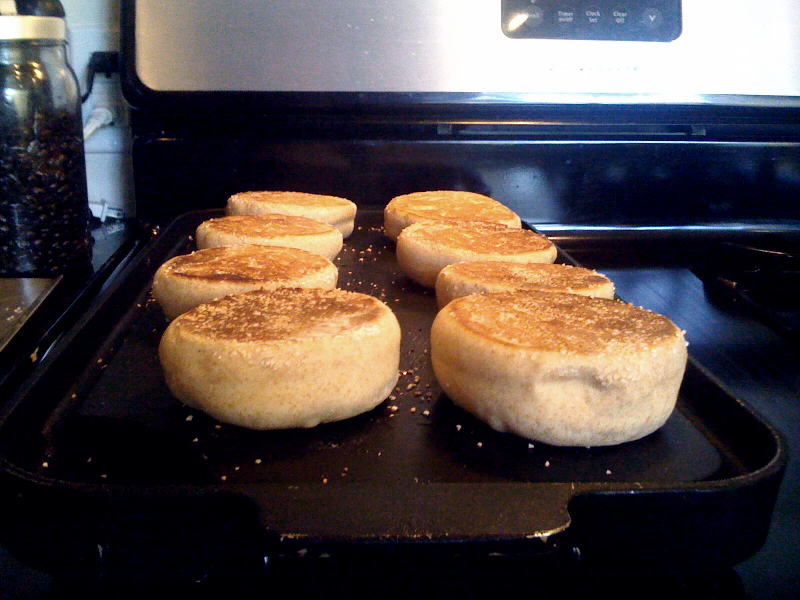 Okay, so I love love LOVE English muffins. LOVE them. But I’ve never been a fan of whole wheat ones, usually because they taste more like wheat bread in an English muffin shape, which is lame! Do you think a) these are sourdough-y enough for me to cross over or b) it’d work with plain starter and white flour? I might experiment! And, wait, Cassie’s here? Neat!! It’s very exiting to find this breadexperiment.wordpress.com website.